Yellowstone is one of the nation’s most well-known national parks. Visitors come from across the globe to see a national park that is so close to Colorado and so relatively accessible it may as well be in our backyard. Every time I visit, I see numerous people of different nationalities and ethnicities, from every continent – and indeed, a significant portion of visitors seem to be from abroad. 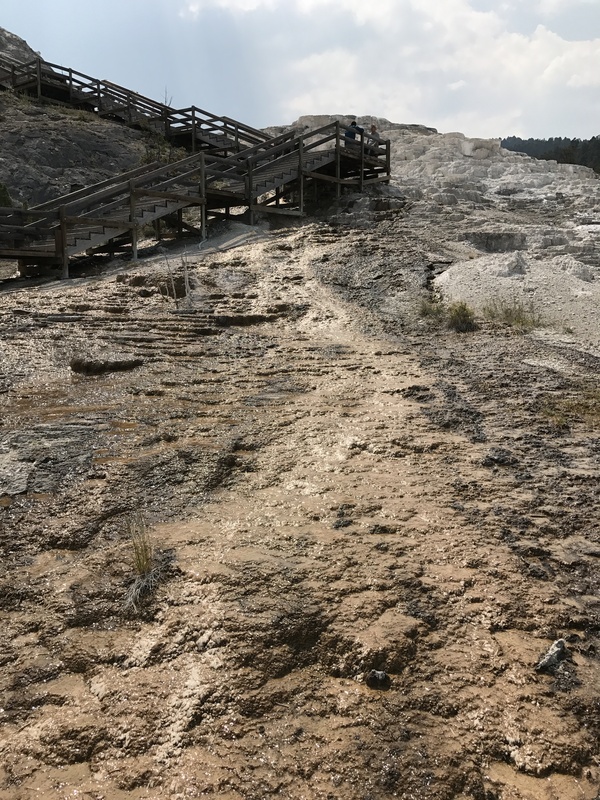 Yellowstone National Park measures nearly 3,500 square miles, with varied terrain, from prairies to plateaus, canyons, mountains, and forests – and then there are the hot springs. 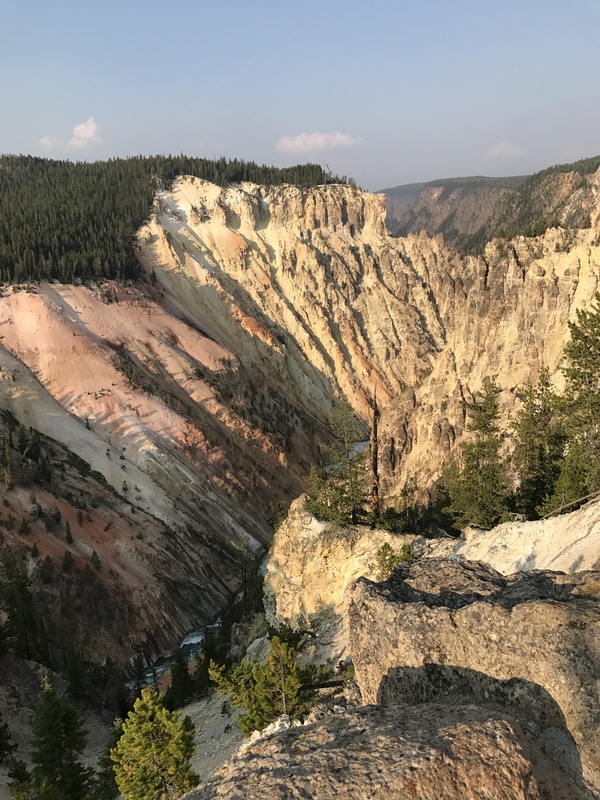 Yellowstone NP sits on top of Yellowstone Caldera – the world’s largest super volcano, and half of the world’s geothermal features are in the national park, fueled by the massive geothermal power beneath it. 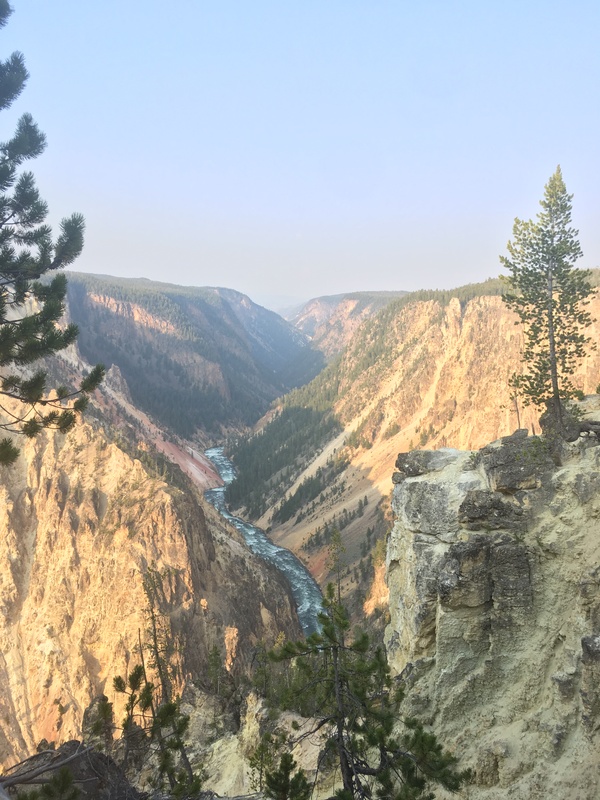 Several of the park’s features are named after the same caldera: the Yellowstone River, Yellowstone Lake, the Grand Canyon of the Yellowstone – there is much to see in this national park, and what follows are my top favorite highlights in no particular order. These sights can be seen over a long weekend – a trip I would recommend to anyone. Yellowstone features several canyons but Golden Gate is notable for a couple of reasons. The canyon itself is so-named because of the yellow hue of the stones lining it, an interesting visual trait. 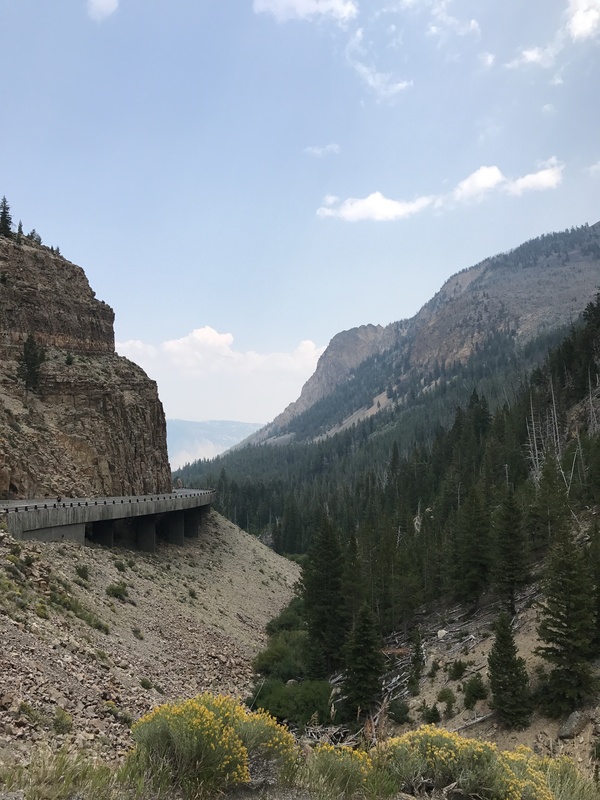 As a fan of unique and historical architecture, Golden Gate provides both – the road having first been built in the late 1800’s as an alternative to a different mountain pass. A sheer cliff face, however, prevented grading, and the road was built on top of a wooden trestle. This was later replaced several times as time itself, wear, and tear reduced the road’s stability. 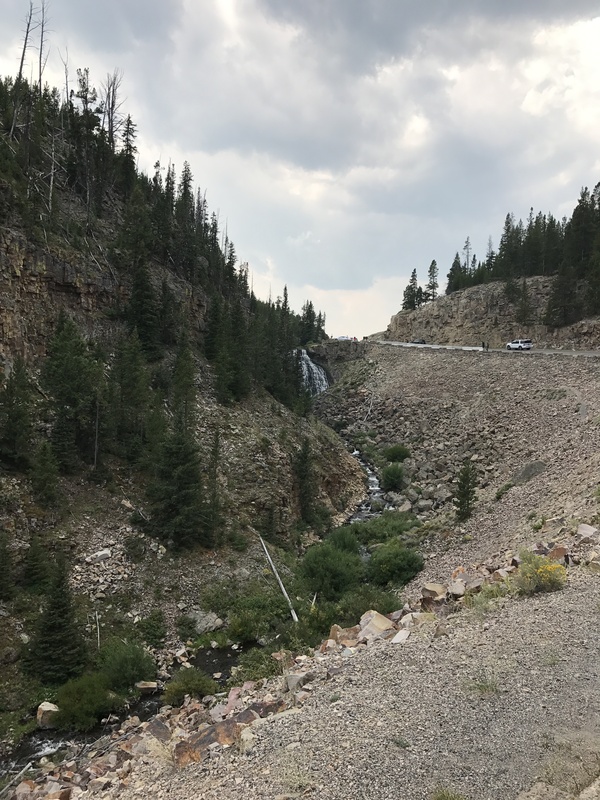 Lastly, Glen Creek runs through the canyon; on the southern half of the pass there is a pretty waterfall with an easy observation point. A fairly iconic view of Golden Gate pass – one of the unique constructions of the early 20th century. On the southern side of the pass you’ll find this gentle waterfall. 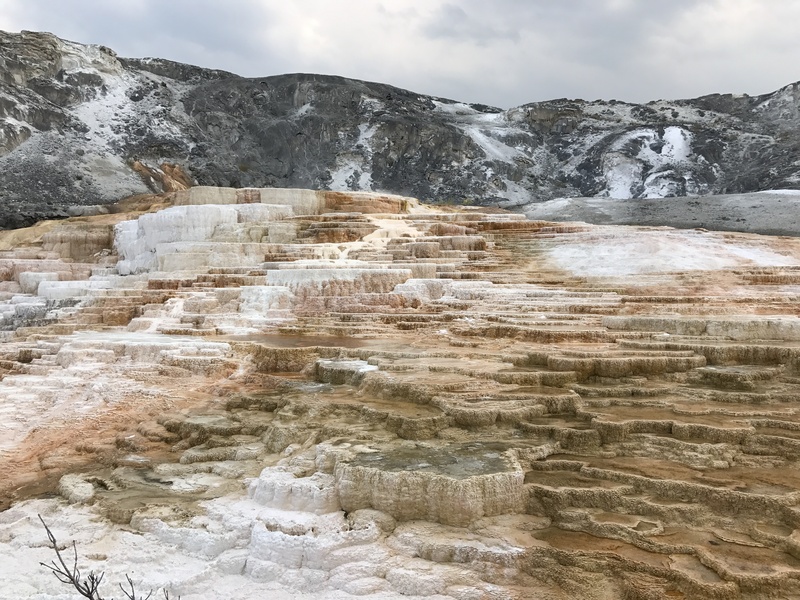 Appropriately named, Mammoth Hot Springs is a series of large hot springs and accompanying mineral deposits in the northwestern corner of Yellowstone. 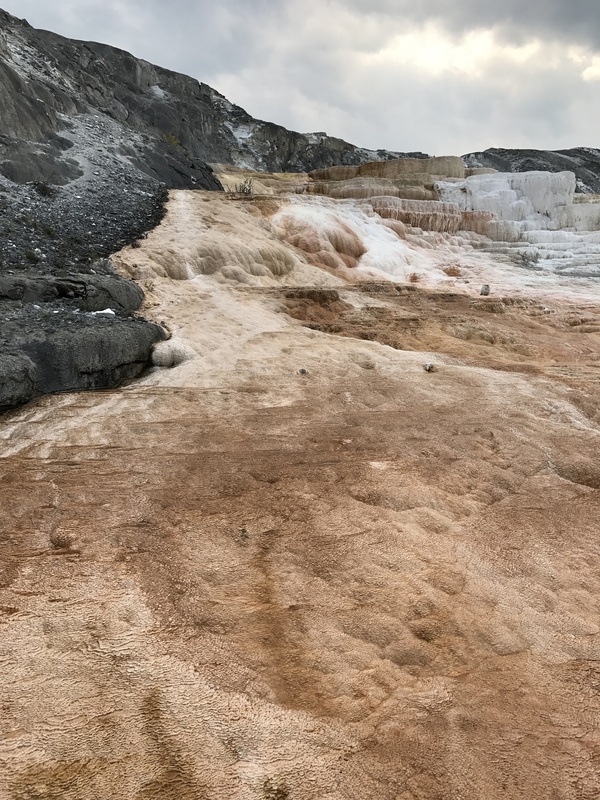 The mineral rich spring water has calcified and preserved unique pieces of flora, and the constantly flowing, mineral-rich water has created some unique mineral formations, as seen below. 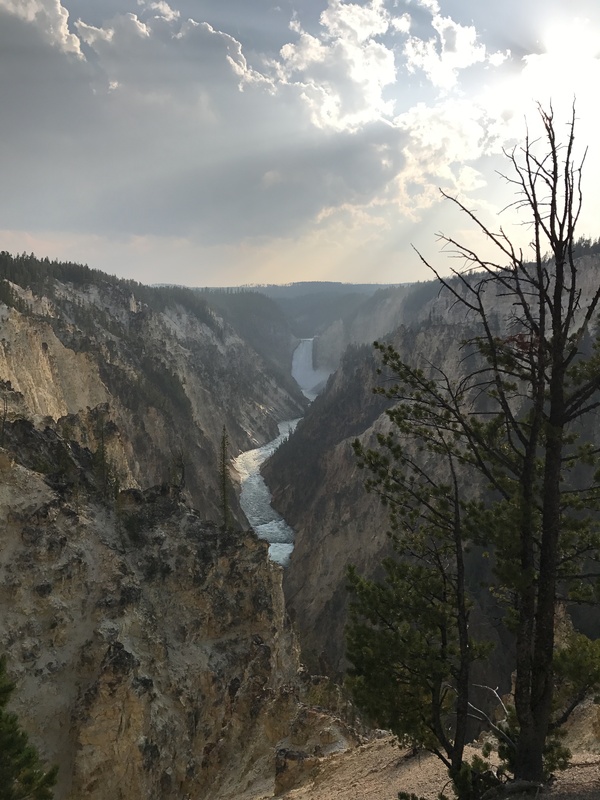 The Yellowstone river winds through canyon and down waterfall – and Upper and Lower Falls, both on the Yellowstone River, are easily accessible and breathtakingly massive. Lower Yellowstone Falls has been measured at a whopping 308 ft., twice the height of world-renowned Niagra Falls. 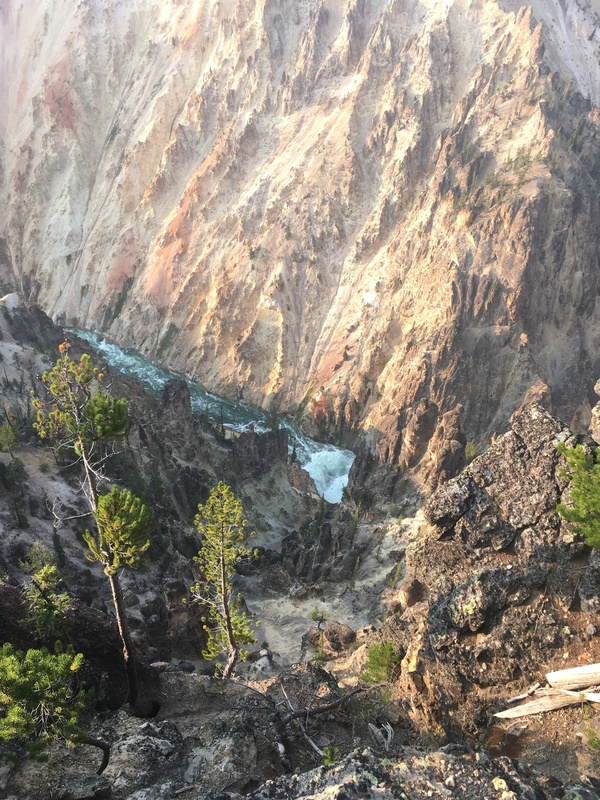 By comparison, the Upper Yellowstone Falls are only 109 ft. high – but the power of which can be appreciated by an observation point at the top of the Upper Falls, which the Yellowstone River roars past and down the aforementioned waterfall. There’s a simple beauty in the power of nature, a perspective-granting awareness of the scale of our existence when faced with such a force, and it is worth noting that this is no thunderstorm, tornado, hurricane, or tidal wave – just the simple combination of gravity and water, possessing a crushing power and indiscriminate determination that has savaged the very ground beneath it. 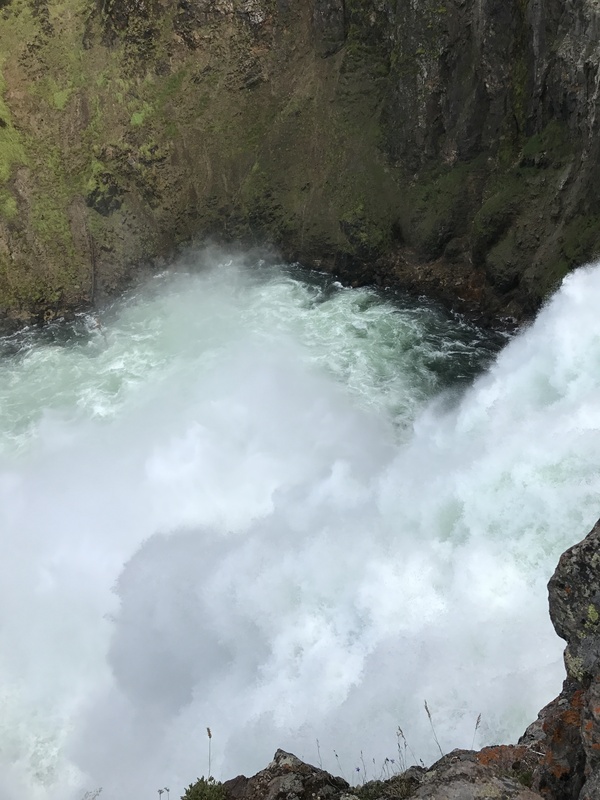 The Upper Falls are very accessible, with a nearby vantage point at the top. From the top of the Upper Falls. 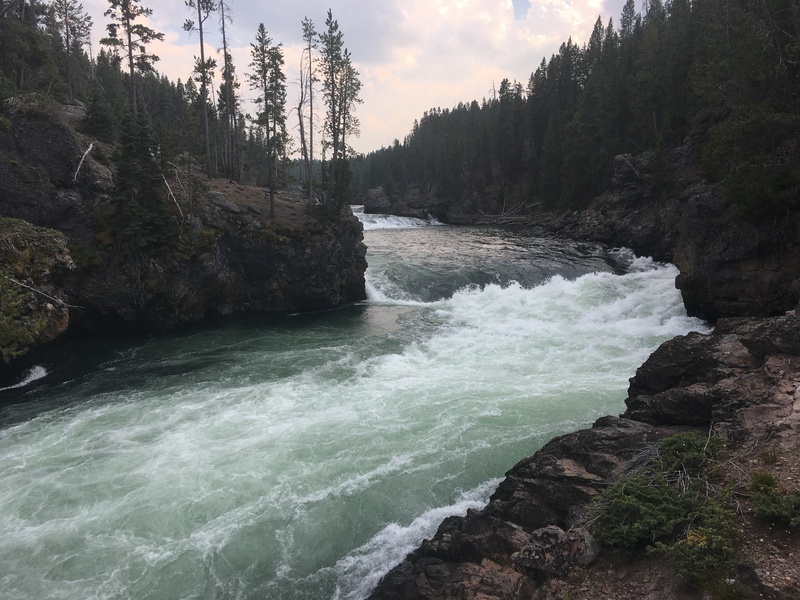 The Yellowstone River flowing into the Upper Falls. Artist Point currently gives the best views of Lower Falls as well as the canyon. In the distance, the Lower Falls. 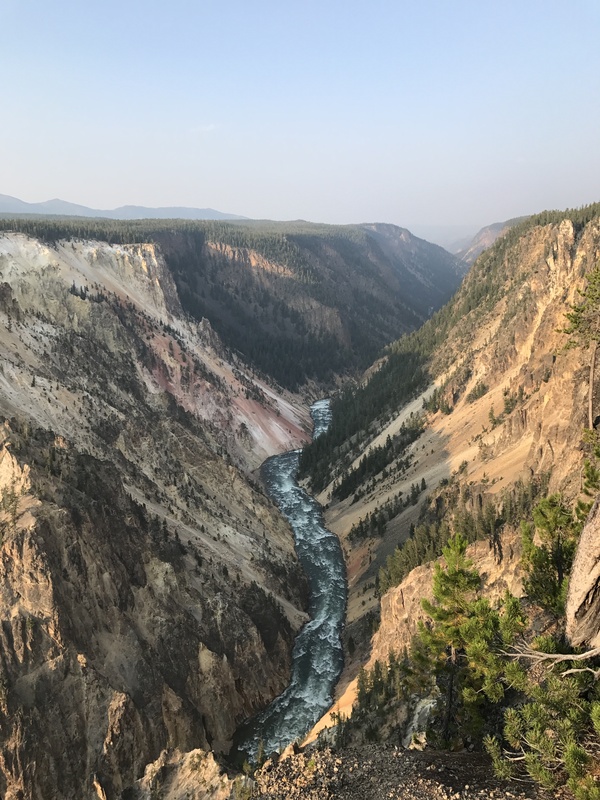 The Yellowstone River has carved away the Grand Canyon of the Yellowstone for millions of years, inch by inch, millimeter by millimeter, one speck of dirt at a time, and has reached an estimated 1,200 ft at its deepest. The Grand Canyon of the Yellowstone features the aforementioned waterfalls, spectacular views, and accessible trails. Much more can be said about the canyon, but the pictures will have to do it justice and I encourage you to see for yourself. Note: Remember to bring bear spray and travel safely. See the link at the bottom of the page for more information. 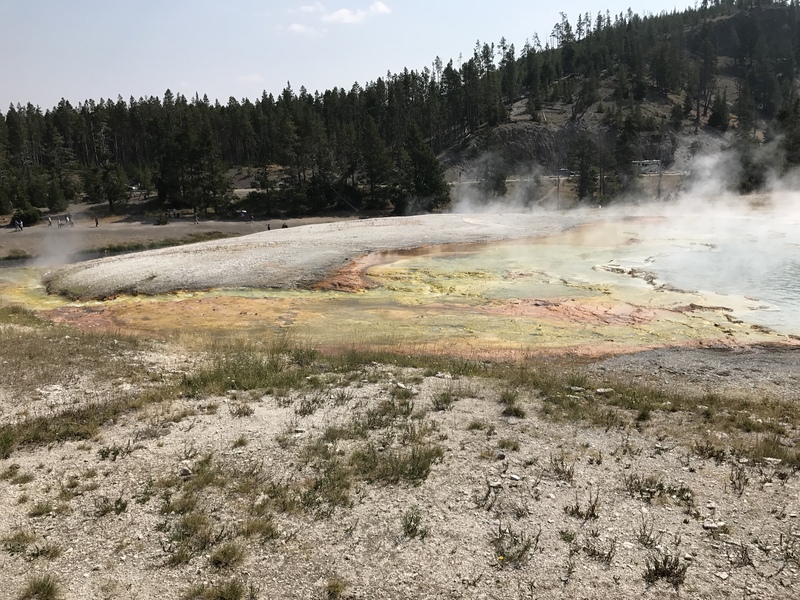 In the southwest corner of the park lay the Grand Prismatic Spring. 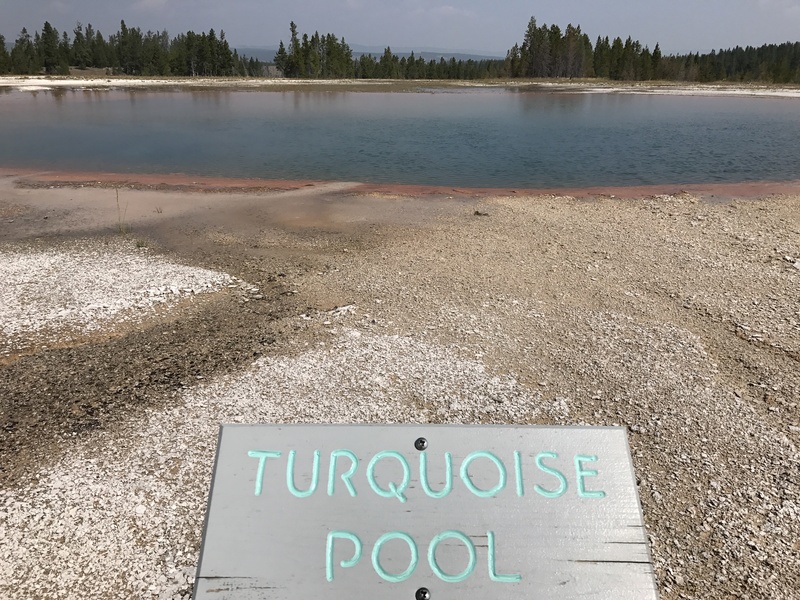 This is one of the most recognizable features of Yellowstone National Park – a highlight among highlights. Aptly named for its size and veritable palette of colors, the spring itself is 370 feet in diameter and 160 feet deep, displays a rainbow-like palette of red, orange, yellow, green, and blue, and disperses roughly 560 gallons of boiling hot water per minute into the nearby Fairy Creek. Grand Prismatic Spring is the largest hot spring in the United States, second to none – and third worldwide. The Grand Prismatic Spring is surrounded by smaller pools and springs. Last but certainly not least is the most renowned geyser the world round, and this is one you don’t want to miss. 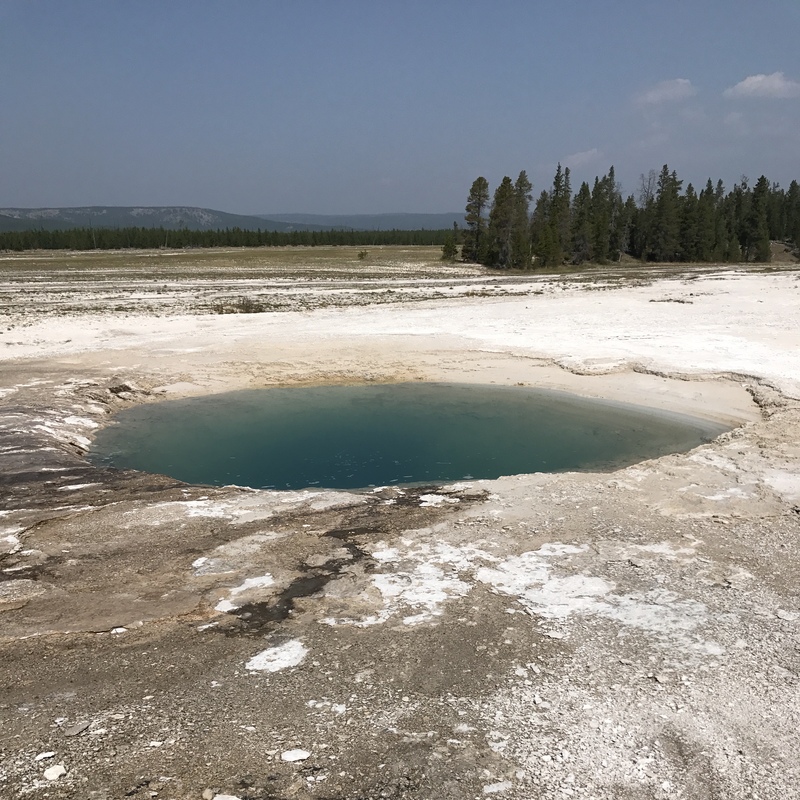 Old Faithful erupts regularly – it isn’t the largest geyser in Yellowstone but it is the one you will be most likely to see because of this. 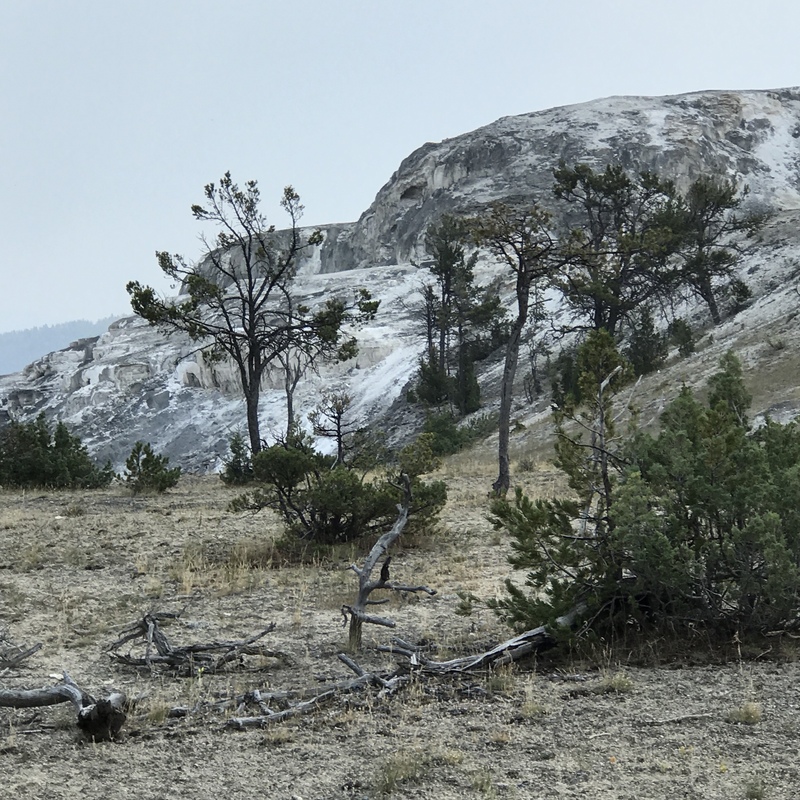 In addition to the unique geographical features, Yellowstone National Park is home to diverse flora and fauna. Below is a short slideshow. 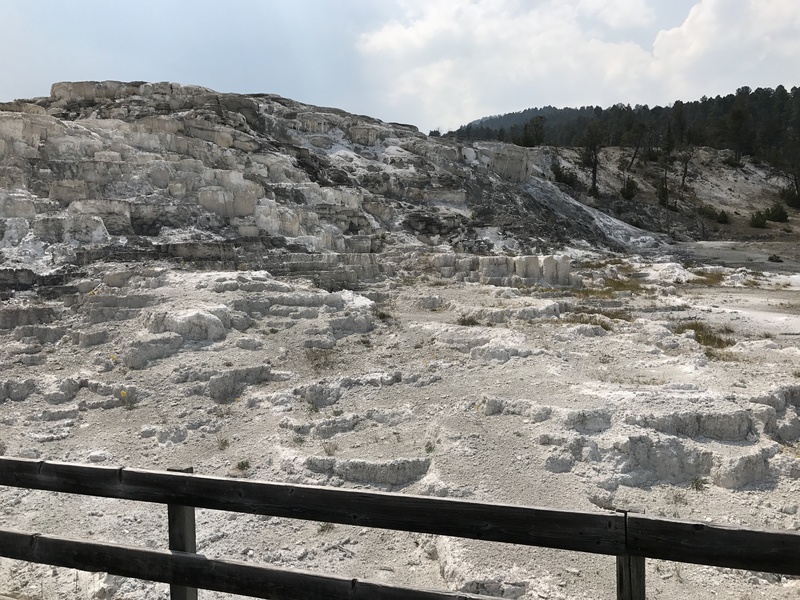 Yellowstone National Park is a unique, world renowned destination, with diverse flora, fauna, and geothermal and geographical features. Everyone should see it at least once in their lifetime – and if you are within a day’s drive, take a long weekend and you won’t be disappointed. 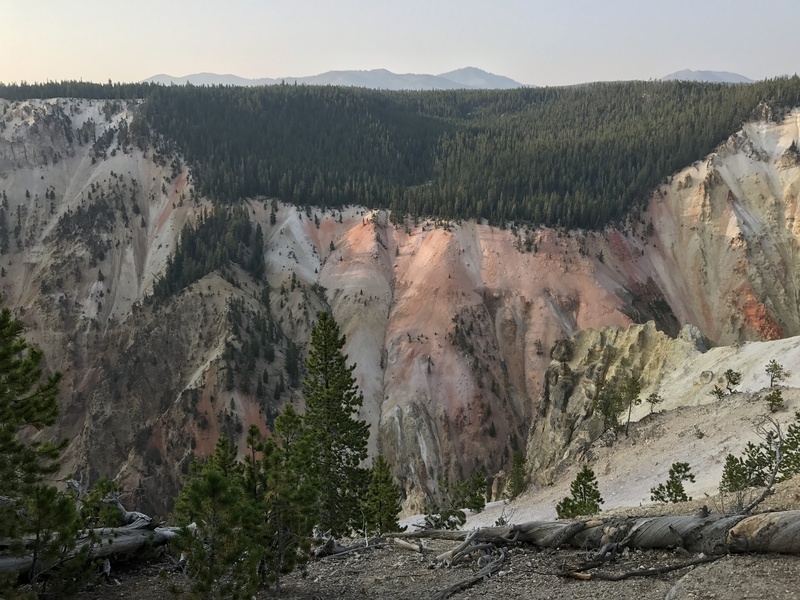 “Yellowstone National Park (U.S. National Park Service).” National Parks Service, U.S. Department of the Interior, http://www.nps.gov/yell/index.htm. “Maps.” National Parks Service, U.S. Department of the Interior, http://www.nps.gov/yell/planyourvisit/maps.htm. “Bear Safety.” National Parks Service, U.S. Department of the Interior, http://www.nps.gov/yell/planyourvisit/bearsafety.htm.